Naples, Florida (12/4/18): Beasley Media Group is pleased to officially unveil season one of If You Give A Ric A Podcast on the bPod Studios platform. 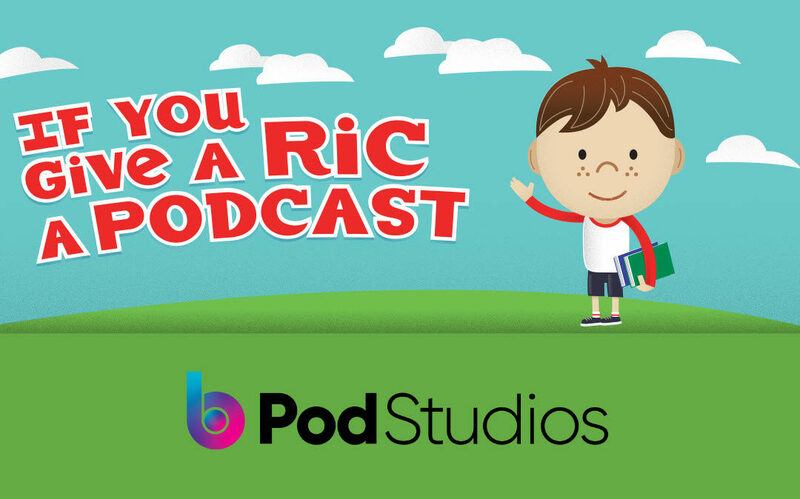 The unique and entertaining podcast series created for children ages 2-8 follows the adventures of Ric and his older brother, Rece, as they travel the world and learn important life lessons through the pages of a new children’s book every week. The duo is joined by Children’s Author Maria Dismondy as they journey through six of her wildly popular books published by Cardinal Rule Press. The first book featured is Fruit Salad Friend. In this book, Chloe navigates the trials and tribulations that pop up on her way to discovering the recipe for lasting friendship. New episodes will be released approximately every 10 days and are available on Apple Podcasts, Google Podcast, Spotify and https://bpodstudios.com/podcasts/give-a-ric-a-podcast. Produced and created by Beasley Media Group Detroit’s Ric Hogerheide, If You Give A Ric A Podcast is designed to provide families with a new way to enjoy books with their children. “We focus on books that have a basis in teaching great lessons, all while being something that is easy enough to put on during a ride to school or on the weekends while cleaning the house,” said Hogerheide. Children and adult of all ages are invited to spend time with If You Give A Ric A Podcast and explore the concepts of friendship, kindness, empathy and just what it takes to make it through the world! To check out the complete network, please visit https://bpodstudios.com. Maria Dismondy has written nine books that feature stories with topics that include anti-bullying, overcoming adversity, friendship trials and tribulations, and more. Maria is dedicated to empowering those around her through her roles as an author, teacher, public speaker, community leader and friend. She is dedicated to making each day count. The author lives in Southeast Michigan with her high school sweetheart husband, three kids and two pet snails. For more information, go to about Maria, please go to https://mariadismondy.com/. Cardinal Rule Press produces high-quality children’s literature that empower children through timeless messages of hope, courage and the Golden Rule. Cardinal Rule Press is a traditional publishing company located in southeast Michigan that produces a select number of books each year; all of which make a difference in the world while reflecting modern-day diversity. In this episode of the “Healthy Paranoia” podcast, Beasley Media Group Executive Vice President of Strategy & Innovation, Buzz Knight, talks with Ben Arnold, Senior Director/Innovation & Trends at the Consumer Technology Association (CTA). One of the big events that CTA produces is annual Consumer Electronics Show (CES) in Las Vegas. 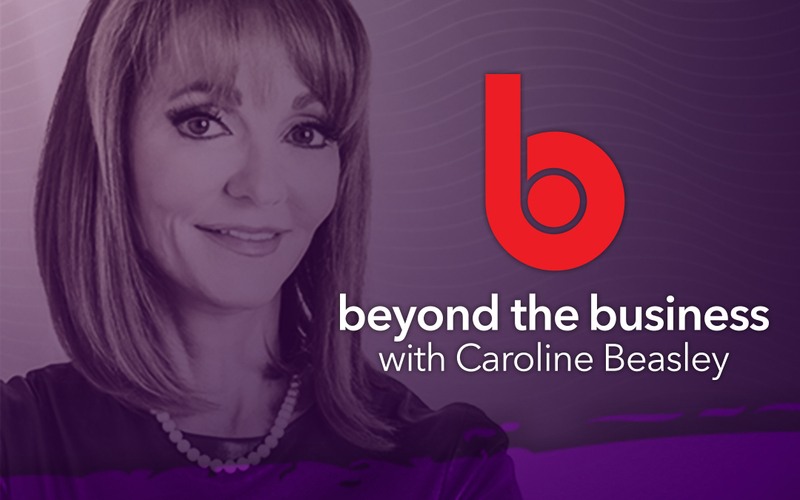 In this episode of Beyond The Business, Beasley Media Group CEO, Caroline Beasley, speaks with Zachary Miles, Esq., the Associate Vice President for Economic Development and Executive Director, UNLV Research Foundation. They discuss the upcoming Beasley Media Group/UNLV Media Innovation Hackathon and how students will be applying their academic learning to solve real-world challenges. The Harry Reid Research Park and the other exciting innovation happening at UNLV were also topics covered in this episode of Beyond The Business. Beasley Media and UNLV Hackathon – Applications Due Oct. 19th!